Amidst the US/NATO's saber-rattling and muscle flexing in Europe the US' thought leaders and military strategists are still largely unnerved by Russia's consistent military modernization; Russia's new Lider-class destroyers are seemingly giving the Pentagon the shivers. The US has kicked off the biggest allied airborne military exercises in Europe since the end of the Cold War apparently aimed at boosting Washington's confidence in its military superiority. Still, Russia's new Lider (Leader)-class destroyers are evidently giving US military experts the shivers, prompting a heated debate on whether or not Russia is able to revive its military industry after the collapse of the USSR. However, Russia's actions aimed at modernizing its army speak louder than words. In late June, the Russian Navy announced that it plans to begin construction of new Lider-class destroyers in 2019, according to Navy Commander-in-Chief Adm. Viktor Chirkov. Russia's new warships will have a displacement of about 17,500 tons, a length of 200 meters and a breadth of 20 meters. Equipped with 60 anti-ship cruise missiles, 128 anti-aircraft guided missiles and 16 anti-ship guided missiles, the nuclear powered destroyer will reportedly reach a speed of 30 knots and remain at sea up to 90 days without support. Experts note that the vessel would become the world's third nuclear-powered destroyer after the American USS Truxtun (DLGN-35) and USS Bainbridge (DLGN-25). 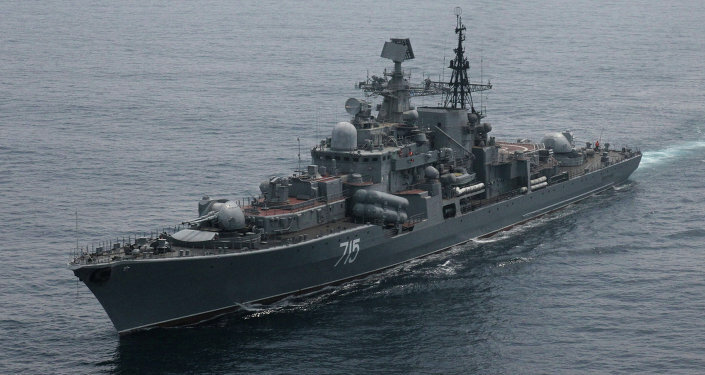 However, according to designers, Russia's warship will outpace its American counterparts. "Dubbed the Lider class, these warships would feature the nuclear power and armament capacity of the massive Soviet-era Kirov battlecruisers. For reference, the 28,000 ton Kirov class has thrice the displacement of and carries roughly twice the armament of its nominal US Navy counterpart, the AEGIS cruiser," US journalist Ben Hernandez noted in his article published by the National Interest. "Cutting a distinctive silhouette, the Lider would easily outgun the largest ships in the US or Chinese arsenals. Their nuclear power plants would allow them to sortie worldwide, limited only by food and ammunition supplies — the finest naval power projection to be found outside of aircraft carriers," Hernandez added. The Russian Navy is expected to receive twelve Lider-class destroyers by 2025. Predictably, this prospect is annoying US military strategists who call into question Russia's ability to complete such a "grandiose" project on time and labeling the warships as "budget breakers." It is worth mentioning that in March 2015 Vasily Kashin, an expert at the Center for Analysis of Strategies and Technologies, pointed out that the Russian Navy's Lider project opens up an opportunity for Sino-Russian cooperation in creating nuclear-powered systems and naval armaments.